An Electrifying 12,000 mAh Design Lets You Get More Out of Your iPad! With 12,000 mighty milliamps to keep your iPad charged up and ready for action, the Props Power Case delivers the very best in portable charging while protecting your iPad with a sleekly-designed folio-style case. A Stylish iPad Case that Works Like a Portable Power Station Not only does the built-in 12,000 mAh lithium-ion battery add a significant boost of power to your iPad when you’re on the go, but it also lets you add life to your phone and any other USB-charged device. You’ll never be without an emergency charge when you carry the Props Power Case. Integrated Easel Stand for Hands-Free iPad Enjoyment In addition to the substantial performance delivered by the 12,000 mAh battery, and the durably rugged folio design, the Props Power Case also serves as a handy easel stand for hands-free enjoyment of your iPad – read, watch movies, and more with relaxing ease. Just fold the front cover back to your desired viewing angle – the unique anti-slide design lets you choose the optimal position whether you’re lounging around or sitting at the office. 12,000 mAh of superior charging power built right into a protective folio-style case. 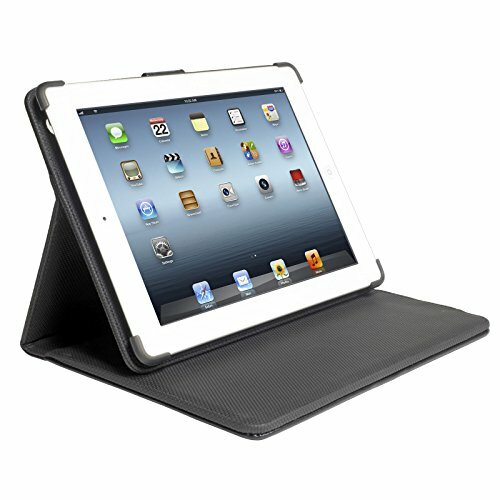 Adds a significant boost of power to your iPad when you're on the go. Also lets you charge your smartphone and other USB-charged devices. Front cover folds back into an easel stand for hands-free convenience. If you have any questions about this product by PCT Brands, contact us by completing and submitting the form below. If you are looking for a specif part number, please include it with your message.